One of my favorite trails in Winter Park is Ice Hill Trail. This path leads up and over a steep hill, then back down towards Vasquez Creek. 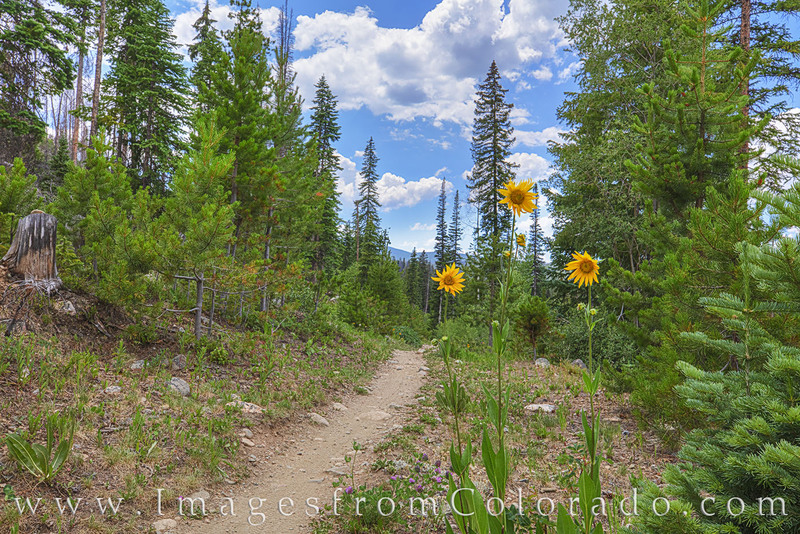 In summertime, wildflowers often line the trail, making for a peaceful and colorful hike at anytime of day. Photo © copyright by Rob Greebon.